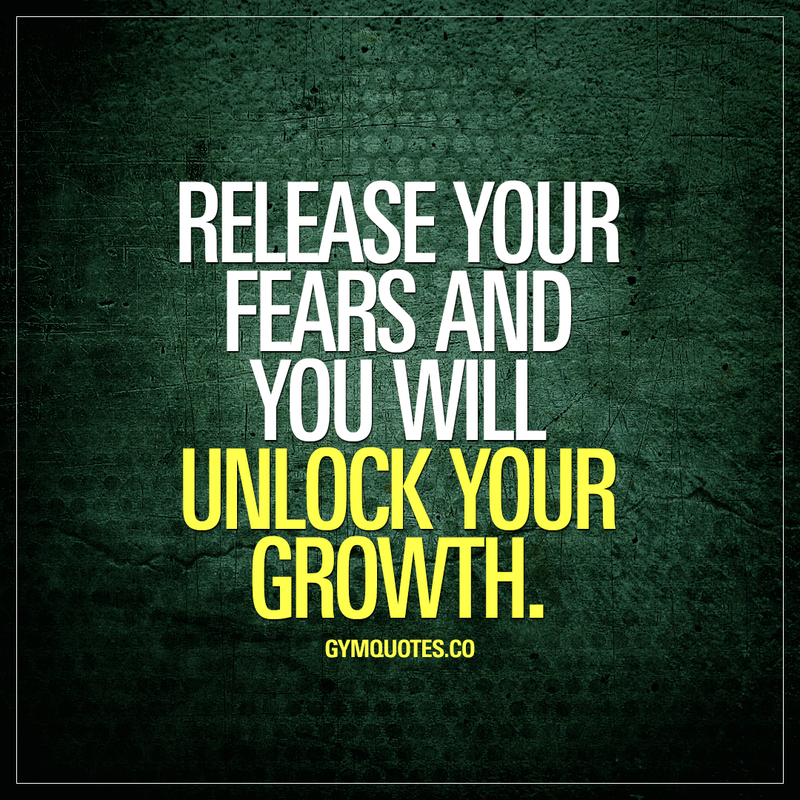 Gym growth quote: Release your fears and you will unlock your growth. We’ve said it before: you have to believe in yourself. You need to do so in order for you to truly grow and become successful. And part of that is to truly release all your fears. Releasing your fears and going after what you want with maximum effort is the only way to truly unlock your growth. Do not think “I can’t.” Think “I can” and do it. Work hard. Train hard. And make sure you move towards your goals without any fear at all!